A Staffer receives a complimentary badge for BronyCon 2017, staff T-shirt, and the option to opt-in to staff housing at a deeply discounted rate for guaranteed space Thursday, Friday, Saturday, and Sunday nights with three other staffers per hotel room. As staff, you will be doing work outside and in the convention. The time commitment is expected to be year-round, and you may be working lengthy shifts during the convention. This is where the action happens during the convention. Teams of people will be running this department together throughout each shift. Your duties would include: Distribution and management of radios, badges, staff perks, hotel keycards, and more; Radio dispatch for key personnel; Monitoring of staff locations and communication; Convention Lost & Found; Other miscellaneous tasks as they arise. If you have an interest in giving back to the convention and community, meeting fans and helping people out, Security is looking for you! 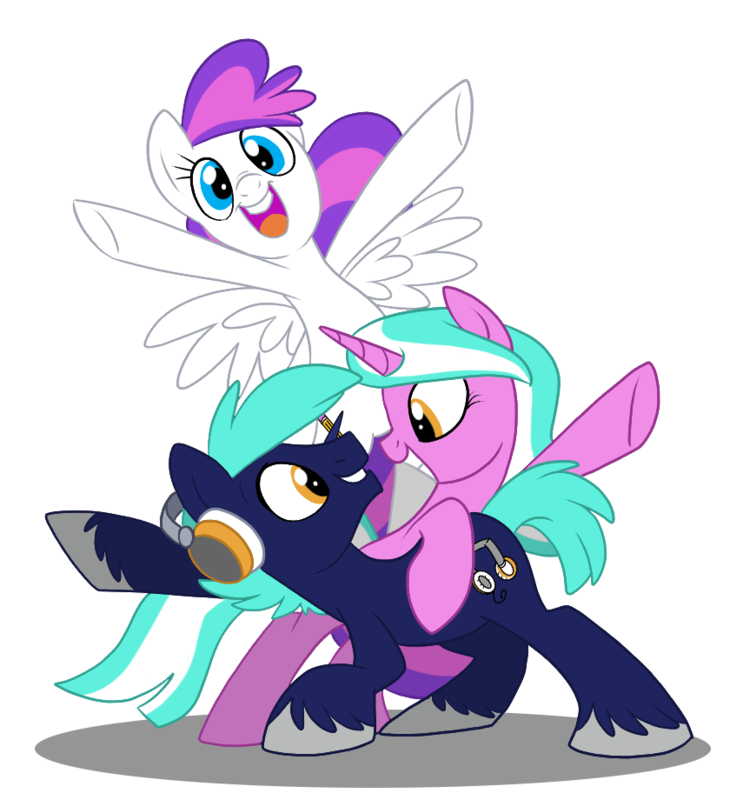 We are interested in people with good customer service skills to help us ensure everypony feels safe, welcome and has fun at BronyCon. Prior convention or retail experience is a plus, but isn't necessary. Potential candidates are required to undergo a short interview. If you are an emergency medical professional, we want you! Security's medical division provides first-responder care for attendees at BronyCon and keeps everyone happy and healthy. Prior volunteer medical experience is good, as is previous customer service experience, but neither is necessary. Applicants will need to be licensed through August 13, 2017, and are required to interview. If you are friendly and have a knack for customer service, volunteering as a Sales Associate at the BronyCon Swag Shop may be right up your alley. The Swag Shop helps finance our convention, and you can help sell the official BronyCon merchandise; it carries a critical role in making it all happen! Applicants should have money handling skills, be reliable, and possess effective communication skills. Prior experience in a sales or retail position is helpful, but not required. If you are good with numbers and have a level head, then the finance room is looking for you! The BronyCon finance staff is responsible for the quick and accurate documentation and safe storage of funds used by BronyCon. The finance team helps other departments by providing them with their starting cash, a place to drop off their earnings, as well as issuing any payments to third parties. All of this helps ensure BronyCon runs smoothly and can keep returning year after year! Applicants should have money handling skills, be reliable, and be able to work well under pressure. Prior experience in accounting or similar positions are helpful, but not required. Help vendors and artists crush it in the Marketplace! As a Vendor Relations staffer, use your swift customer service and problem solving skills to keep the vendor hall running while being attentive to maintaining our policies. You'll spend your shifts making sure everything is going smoothly, keeping an eye out for trouble, and providing help wherever it's needed. Answer attendee and vendor questions before and during the convention as part of our Info team, work with our vendors and artists as part of the Vendor Hall or Artist Alley teams, or help show off and sell attendees' art work in our Art Show. Come be the heroes our Marketplace needs!